The Clothes Show Live – Our 2015 finalists! Why? 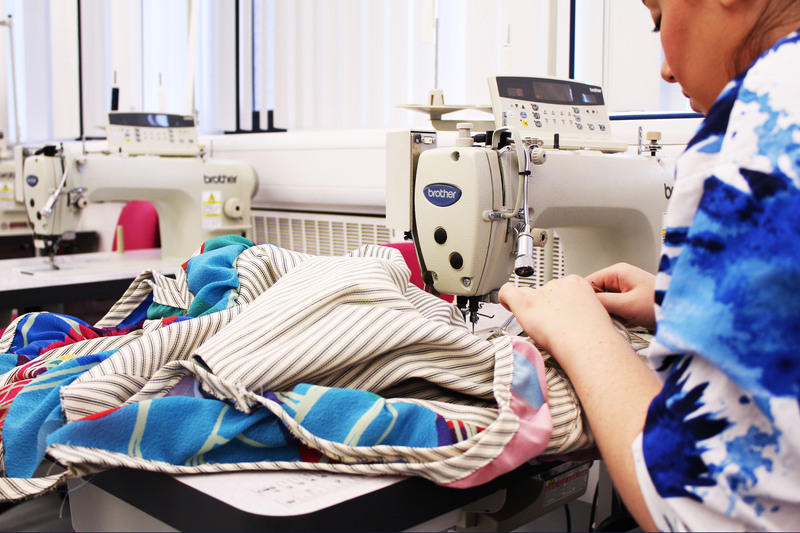 Because each year our Fashion students submit group collections of designs to be shown on daily graduate catwalks with other universities throughout the duration of the show. The submissions are judged by The Clothes Show’s team of experts, and the ten best designs are then shown on the final day before the overall ‘Young Designer of the year’ winner is announced. We’re proud to say we’ve got an excellent track record of our designs making the final catwalk. Our students scooped the ‘Young Designer of the Year’ award in 2012, 2013 and 2014 so we’re hoping to keep our crown for a fourth year! This year one of our students, Milana Vaitkute, is our finalist for the award. Milana’s outfit will be showcased on Tuesday, amongst the other finalists, then the award will be announced. The overall theme for this year’s group collection is Japan and Japanese traditions. Finalist Milana’s collection was inspired by the popular Sanrio character ‘Hello Kitty’. She also took inspiration from general Japanese animation and staple characters such as Pikachu and Domo Kun. Milana had just under a month to construct her final piece, which is not long at all in the fashion world! To be honest, I am still in shock and the idea of me as a finalist still hasn‘t sunk in, but of course I am very honoured to be nominated, and overwhelmed by the fact that I am the only Coventry University student to make the final’. Not only is this a brilliant achievement, but being nominated for the award has also pushed her as a designer. According to Milana she usually works with minimalistic monochrome designs but the Japanese culture is very colourful, so the final design captures her own perception of the Japanese culture. The Clothes Show Live is a great excuse to go shopping and this year the fashion department will have their own stall at the event. They’ll be selling scarves printed with 5 different designs, chosen by the students and staff, as well as giving away posters designed by the students and they’ll be offering make overs! The theme for the stand is ‘a take on Dismaland – the name of street artist Banksy’s newest instalment of public art in the form of an amusement park. So expect the strange, but wonderful! Not only do we have brilliant young designers within the department, we also have excellent writers. This year Paige Allen is a finalist for ‘Fashion Blogger of the Year’ award, a genre that has become really popular in the past couple of years. We also have two students – Shakeem Hart and Jasmine Packman – who are both competing as finalists for the ‘Young Journalist of the Year’ award! All winners will be announced on the final day of the show. manning the Coventry University dismaland stand! This guest post was written by 2nd year Photography student Evan Merner. Evan specialises in Fashion Photography and loves to write about fashion and the history of art. She aspires to be a writer for magazines and websites, and currently has articles published in ‘The University Paper: Coventry Edition’. Real stories, Student Wins, Why Cov Uni? ← What to ask at a Coventry University Open Day!